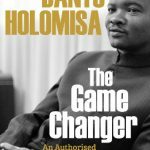 Bantu Holomisa: The Game Changer, an authorised biography of UDM leader Bantu Holomisa, is out now from Pan Macmillan SA. Bantu Holomisa chatted to Morning Live about his new biography Bantu Holomisa: The Game Changer. Holomisa and Mandela did not speak to or see each other for some time after he was shown the door by the party. “We first saw each other again when he invited me to his house at Qunu. I regarded this as an opportunity to hear from him personally what he had told a radio station about my case. Join Pan Macmillan SA for the Joburg and Cape Town launches of the much-anticipated new book Bantu Holomisa: The Game Changer by Eric Naki. 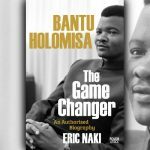 Bantu Holomisa: The Gamechanger, an authorised biography by Eric Naki, is out from Pan Macmillan South Africa in November. 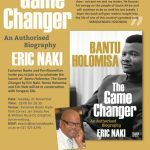 Exclusive Books and Pan Macmillan invite you to celebrate the launch of Bantu Holomisa: The Game Changer by Eric Naki.